Today, throughout the weekend, our new digital kit will be on sale! 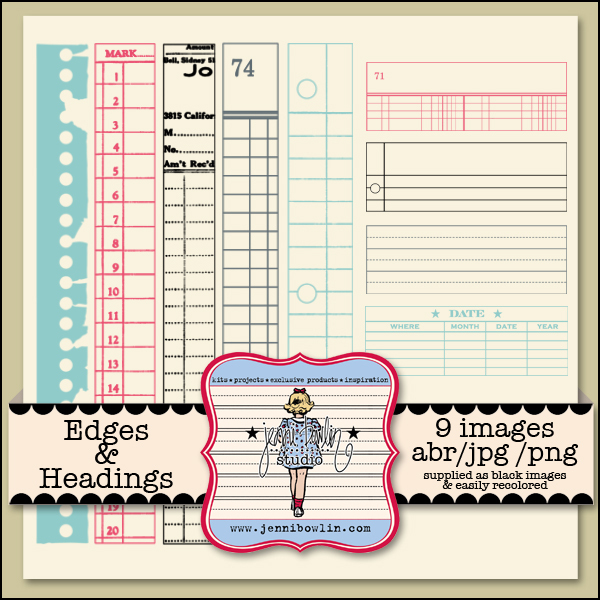 Edges and Headings is quite the versatile kit! Not only can it be used in many ways by the digital scrapper, it can also be used by the paper scrapper, too! How, you ask? Hop on over to Shimelle.com and see todays post on just that topic! 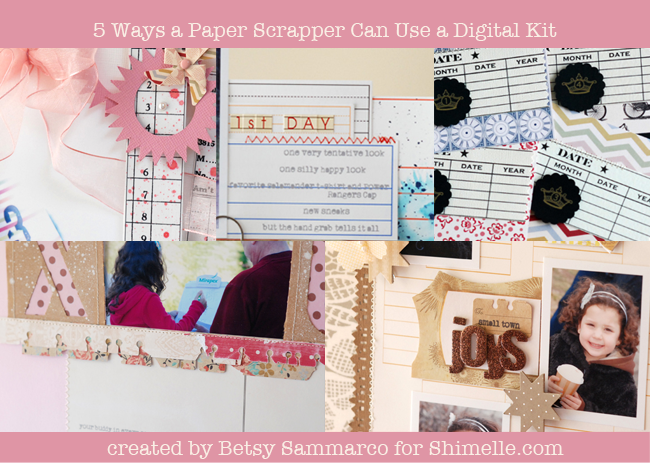 I'll show you five different ways I used this digital kit to create paper projects. We'll be showing more examples of digital and hybrid ways to use this kit over the weekend!